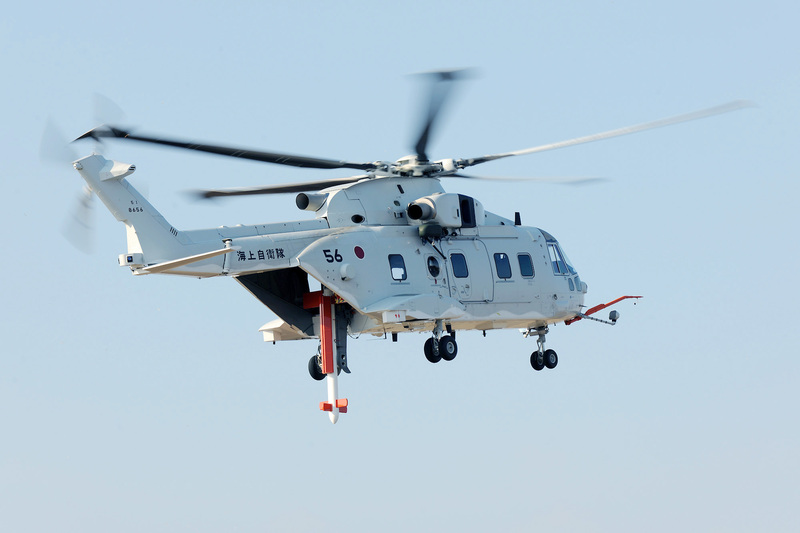 Finmeccanica – AgustaWestland and Kawasaki Heavy Industries (KHI) are pleased to announce the delivery of the first Airborne Mine Counter Measures (AMCM) equipped KHI MCH-101 helicopter to the Japan Maritime Self Defense Force. 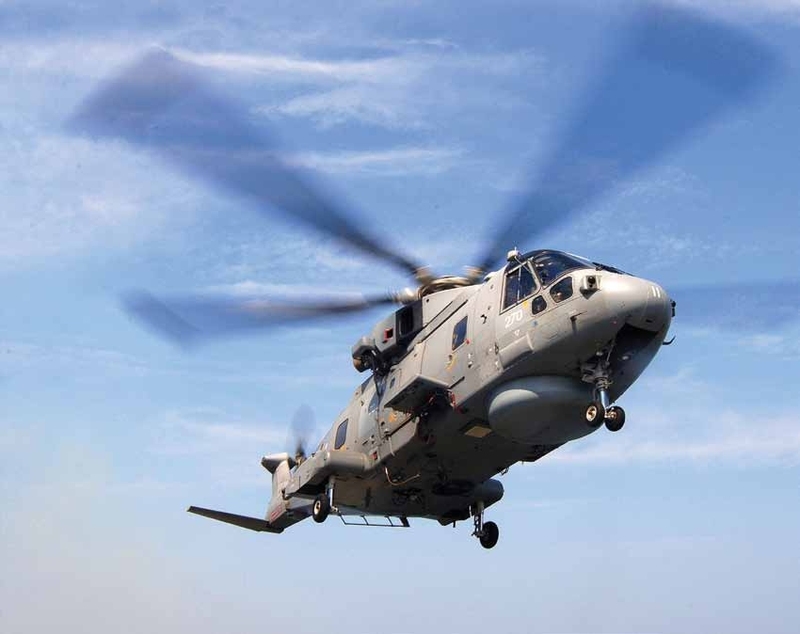 The KHI MCH-101, a licence built version of the AgustaWestland AW101 helicopter, is equipped with the Northrop Grumman AN/AQS-24A airborne mine hunting system and the Northrop Grumman AN/AES-1 Airborne Laser Mine Detection System (ALMDS). Together these systems provide a complete surface-to-bottom mine detection capability. The AW101/MCH-101 is one of only two helicopter types capable of towing the AN/AQS-24A and the only modern helicopter type. The development of the AMCM variant of the AW101/MCH-101 has been led by Kawasaki Heavy Industries, as prime contractor, with AgustaWestland providing technical support. KHI has responsibility for system integration and design of the AN/AQS-24A carriage, deploy, tow and recovery system that is installed in the cabin. 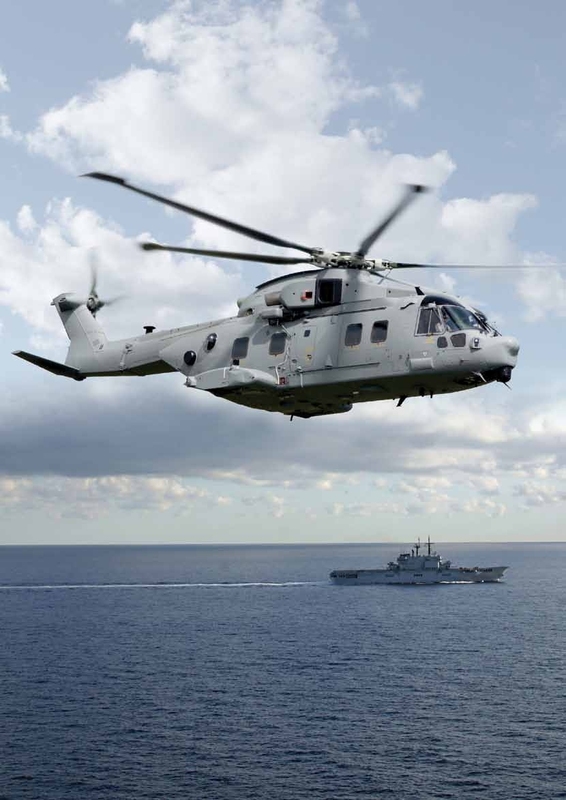 AgustaWestland in addition to providing technical support also modified the aircraft’s Automatic Flight Control System (AFCS) to be able to perform coupled towing patterns with the Northrop Grumman AN/AQS-24A. Following the handover ceremony at Kawasaki’s Gifu factory on 27th February, the Japan Maritime Self Defense Force aircraft was delivered to Iwakuni where it will perform evaluation trials with the 51st Experimental Squadron before entering operational service in 2016. The AN/AQS-24A is the only operationally proven, high speed airborne mine hunting system in the world. It features a high-resolution, side scan sonar for real time, detection, localization and classification of bottom and moored mines at high area coverage rates and a laser line scanner to provide precision optical identification of underwater mines and other objects of interest. KHI developed the MCH-101, a successor of the current MH-53E minesweeping/transport helicopter, by modifying the EH-101, a utility helicopter developed and manufactured by AgustaWestland based in Italy and the United Kingdom, in order to meet needs specific to Japan. The MCH-101 will be used in the Maritime Self-Defense Force’s minesweeping/transport activities as well as transport support for Antarctic exploration. The AN/AES-1 Airborne Laser Mine Detection System uses pulsed laser light and streak tube receivers housed in an external equipment pod to image the entire near-surface volume potentially containing mines. The ALMDS pod is mounted on the port weapon carrier and data is displayed on the cabin mission console. 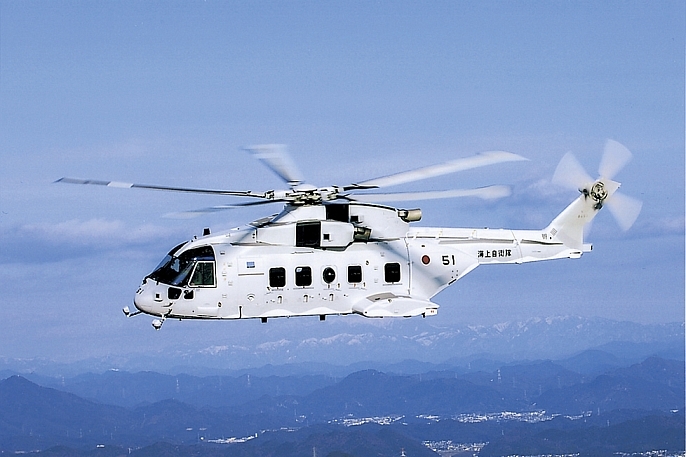 The first AMCM configured is the eighth of 13 AW101s that Kawasaki Heavy Industries is building under licence from AgustaWestland for the Japan Maritime Defense Force. The eight aircraft delivered to date comprise six MCH-101s and two CH-101s. The CH-101s are used to support Japan’s Antarctic research activities. 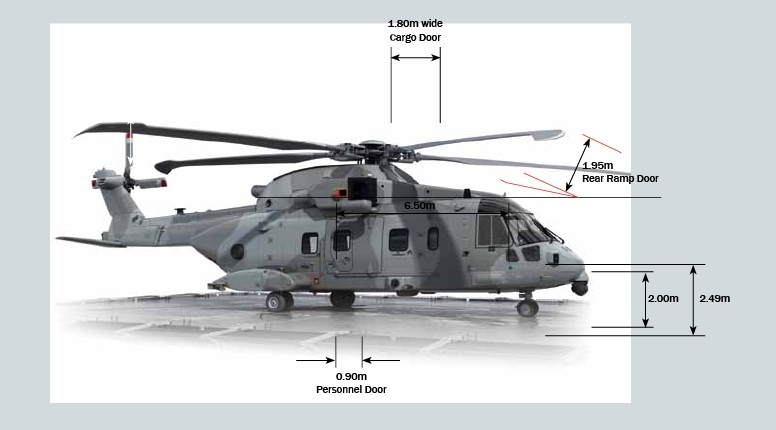 The AW101 combines the most advanced technologies, safety by design, mission systems and leading-edge manufacturing to provide a proven platform for Heads of State and Very Very Important Person (VVIP) operators. Featuring the largest cabin in its class, 2.49 m/8.17 feet wide and 1.83 m/6 feet high, passengers are able to walk in the spacious environment, which can be fitted with a range of fixtures and equipment, finished in highest quality materials to customers exacting standards. The aircraft has been proven in the world’s most extreme environments, from the Arctic to the Antarctic.